Timothy Ministry: The Trouble with "Lordship Salvation"
You speak eloquently of the power of grace, and I love your phrase "This grace is righteous, and is expressed at the cross where both God's wrath against us and His amazing love for us come to a head." However, I think you stumble a bit in your over-anxiety to advocate for grace. Consider the circumstances of Paul's grace-based doctrine: Paul contends strongly for grace above works, for he is dealing with a culture of Jewish Christians who wish to impose the works of the Law of Moses upon the new Gentile converts. Paul's language of grace is distinctive to him. Other apostles did not use it, and Jesus speaks in the language of good works. Why is Paul different? Because his particular mission was to free the Gentiles from the bonds of the Law of Moses, and the influence of Judeizers within the church. But our circumstances are different today. In our culture today, there is very little worship, obedience, ritual communion, or good works. No one seeks to impose the minutia of the Law of Moses upon Christians today. So I believe today it is important also to consider the words of James: "Faith without works is dead...I show you my faith by my works." Grace is important, even supreme. No one will be saved by their works alone. But God expects us to turn to Him, and to use His grace to empower us to keep His commandments. Grace is a tool to help us be obedient to Him. Without obedience, we cannot be saved. We need both grace and works. I believe it is good when you advocate for God's supreme and essential grace. But those who call for good works are equally important. "If ye love me, keep my commandments" the Savior said. By all means, continue to remind Christians of their nothingness before God, of the absolute need to turn their life to Him and accept His grace. But I would not contend against their desire to do good works, for I believe it is a sign of their faith in Him, even if their understanding of grace is incomplete. There must be milk before meat. The works of men are an acceptable offering unto the Lord, though they cannot ultimately save us. Nevertheless, the Lord smiles upon those who strive to keep his commandments, and has promised that they will be found at his right hand at the last day. "Come thou blest of my father, inherit the kingdom prepared for you from the foundation of the world, for I was enhungered and ye gave me meat, I was thirsty and ye gave me drink..."
Hi Nate, thanks so much for your comment. You said a lot, so please bear with me as I touch upon some of your points. You wrote that "Paul contends strongly for grace above works." This, actually, is not true. Paul contended strongly for grace without works (Romans 3:28, 4:4-6, 11:6, Galatians 2:16, Ephesians 2:8-9). Now I am not saying that works are not important to Paul or to the Christian life - they are extremely important, and I will say more about this in a moment. But when it comes to receiving the forgiveness of sins and the free gift of eternal life, they have absolutely no part to play. It is in the place of receiving salvation that they are excluded. Works are not required to be forgiven, Paul says, they come from being forgiven. It cannot be emphasized more strong how vital this is to Christianity, to the true knowledge of God. We know God through this, and without this we do not know God. Let me illustrate this with an example we can all relate to. Suppose you have a friend, and it is his birthday. You greatly desire to show this friend how much you care about him, so to do that you buy him an expensive gift, wrap it in a bow, write a Happy Birthday card, and excitingly give it to him at his party. "Dear ____, want to show you how much you mean to me. Happy Birthday!" To your shock, your friend doesn't understand, and looking at the gift, he thinks you are trying to make a deal with him. "Oh...", he says, "so you're saying that if I come over and do your yard work for the next year and a half, then you will give this to me as a payment." "No!" you cry. "That's not what I'm saying! This is a gift, to show my love for you!" "Okay, I can accept those terms. I'll be over tomorrow to get started. Thanks for the opportunity!" He doesn't take the gift, because he thinks he must work for it first. How are you going to feel for the next year and a half, as you look out of your window every day and see your friend sweating away trying to earn the gift that you wanted to give him freely? You will be upset, frustrated, and sad that your friend doesn't know who you are. He didn't understand your heart. This is how it is with God. It is not that works are bad. Doing someone's yard work is not sinful. Going to church, giving money to the poor, praying, loving your neighbor... these things are not wrong, but good. Yet however good they may be, such works do not please God when one is trying to earn that which God wants to give for free. When are we going to realize that it's not just about what we do? It's more than what you do, but why you do it. If you think that you have to do good works to receive the gift of eternal life and the forgiveness of sins, God is not pleased about that because you fail to understand His generous heart toward you. He does not see that as a good thing at all. Now, however, suppose your friend did understand what you were doing, and accepted the gift with much gratitude. "Really? Wow, thank you! You must really care for me." And in his thankfulness he said, "Man, I care for you too, and I'd love to come over and do your yard work for a year!" You say, "You really don't have to!" "I know! I know! It's just that I want to express to you how thankful I am, and how much you mean to me." You thankfully accept. Now the situation is different, though the action is the same. It is no longer about earning, or doing anything to receive. It is about reciprocal gift giving, freely given from heart to heart. That kind of work is pleasing to God. You see, grace not only saves our souls, but it also saves works from being corrupt. My sins are forgiven freely, but I myself now am also free to do good works because I want to, not because I have to. Whenever I have to do something, the necessity automatically corrupts the deed by corrupting the motivation. The Bible teaches us that it is our sinful nature to rebel against necessity (Romans 7), and I believe we can all relate to that. So grace frees us to actually do good works, because it frees us from having to do good works, making good works a matter of freedom from the heart. Until you receive the free gift of eternal life, you really can't do good works, not because your actions are wrong, but because you are doing them for the wrong reason. Sadly, religious people in this world are spending a lot of time and energy to obtain that which God is offering freely, and it is not pleasing to God. The common experience is: "I'm exhausting myself working for God and He never seems to come through." That is because, dear friend, you've got it all wrong. God wants you to come unto Him and rest. It is all about knowing Him. In that knowledge we find peace, rest, eternal life, and the true motivation for works. And what is it to know Him? But to know Him through Jesus Christ, a God of grace. Hi Eli, thanks for responding so thoroughly. The examples you gave were very clear and convincing. First we must graft ourselves into the vine, and then our righteousness comes from the life flowing into us from the vine, rather than from ourselves, which is sin. However, as beautiful and true as this paradigm of grace is, I do think it is important to understand that this perspective was unique to Paul, as other Biblical authors do not use it in the same way, but instead speak in the language of salvation through works. It is understandable, given the preponderance of works-based admonitions from Jesus and other New Testament writers, that people today could easily come to believe that works are important to salvation. After all, Jesus implicitly says that those who do not obey his word will be found on His left hand at the last day. Mormons, Jews, Catholics, and other traditions may focus on works, but they can be forgiven because it is easy to get the impression that works are essential from hundreds of passages in the Bible. Whereas passages about grace are few, and found exclusively in Paul, who was speaking to Gentiles and Jews who were still trying to live the Law of Moses. Additionally, Paul's paradigm of grace works well as an ideal, but the reality of life is that after being "born again," we easily settle into our old habits, and we find that nothing has changed in our life, unless we make an effort. Sometimes we don't want to keep the commandments. We have to force ourselves. It's not that we believe that our efforts will bring salvation, but we focus on the effort because we desire to obey the commandments of God, and be true to the commitment we made to Him. And if we don't make the effort, then we will drift from God, and forget Him, and are in danger of losing our spiritually awakened state of being. By all means, it is good to remind Christians of the fundamental principle of grace. But in the long and dreary journey of life, sometimes we must step forward without feeling that grace and divine manifestation and walk in obedience by faith. If we do not do this, we will find ourselves far from Him, and we will lose our salvation. Hi Nate, thanks again for your comments. I did plan on writing more, to address your points. I am not saying there isn't effort. It is perfectly clear from the Scriptures that there is. What I am saying is that there is a new motivation to work besides fear of punishment and the desire for reward, and that motivation is love for God inspired by the love of God, which love is only seen in the grace of Christ. Without the New Testament gospel of grace, we do not have this as a motivation, no matter how we try and express our motivation in love sounding terms. In the end, if it isn't by grace alone that we are saved, then we must work in order to be saved, and that spoils our motivation. I believe you are misjudging the Bible when you say that the message of grace is exclusive to Paul. I do not believe that is the case at all. Paul preached the faith which he once sought to destroy (Gal. 1:23), which means that what we hear from Paul the apostle was precisely what drove him irate before he was Christian. The idea that Jews and Gentiles do not need to obey the law in order to be saved was too much for the zealous Pharisee. Paul speaks from personal experience in Romans 10, how that the Jews had a "zeal for God, but not according to knowledge. For they, being ignorant of God's righteousness, and going about to establish their own righteousness, have not submitted themselves unto the righteousness of God. For Christ is the end of the law for righteousness to everyone who believes." (Rom. 10:2-4) The "righteousness of God" is explained in Romans 3:21ff, and explaining it was the purpose of his writing the letter to the Romans (Rom. 1:16-17). Christians believe that a man is righteous before God, not by obeying the commandments, but by believing in Christ, because of what Christ did on the cross. See Paul's understanding of the cross in Galatians 2:21. If righteousness could come by the law, Christ died for nothing. Christ died so that righteousness might be bestowed as a free gift to those who believe. That's what the gospel is all about. It is absolutely vital that you see that Paul is not just balancing the Christian worldview, nor making claims that can somehow fit with a works-based salvation. He makes unequivocal exclusive propositions that are comprehensive and demanding (Gal. 1:6-9), transforming our whole understanding of the Scriptures. Christ crucified brought a paradigm shift to our understanding of Scripture, which Paul and the apostles understood. There is no possible way Peter and Paul taught different things, unless one or both of them are wrong. You truly can't have it both ways. If what you say is true, either Paul was not right, or Peter was not right, or both, and unless you appreciate this dilemma, you haven't appreciated Paul's teaching. In 1 Corinthians 15:1-11, Paul lays out his gospel message in a simple manner. He received his gospel from those before him. He preached no more than that "Christ died for our sins and rose from the dead according to the Scriptures". All the rest is unpackaging that. The Old Testament itself bears witness to the message of grace that Paul preached (Acts 28:23, Rom. 1:1, 3:21, 16:26). The prophets foretold of a New Covenant that would not be like the one God made at Sinai, where, unlike God giving them what they deserve, God would give them what they didn't deserve, forgiving the people of their sins (Jer. 31:31-34). The forgiveness of sins comes through the death of the Messiah (Isaiah 53) as a free gift (Isaiah 55:1-3), through faith alone (Gen. 15:6, Hab. 2:4). The prophets called the people to consider how Abraham was righteous (Isaiah 51:1-2, Gen. 15:6), and foretold of the day when God's people would call the Messiah "The Lord our righteousness" (Jer. 23:5-6, 33:14-16), as opposed to their righteousness being by their own obedience to the law (Deut. 6:25). All of this was of course a mystery that was hidden to most until the time of the New Testament manifestation (Rom. 16:25-26). Paul's preaching was according to the law and the prophets. Nor can his preaching be pitted against the other apostles. It was Peter who declared: "To Him give all the prophets witness, that through His name, whosoever believes in Him shall receive remission of sins." (Acts 10:43) It was Peter, not Paul, who ended the dispute with the Judaizers, saying, "And God put no difference between us and them, purifying their hearts by faith. Now therefore why tempt ye God, to put a yoke upon the neck of the disciples, which neither our fathers nor we were able to bear? But we believe that through the grace of the Lord Jesus Christ we shall be saved, even as they." 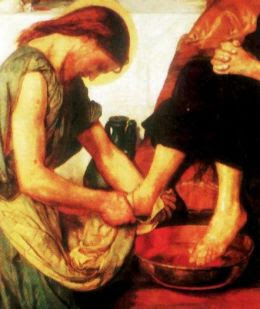 (Acts 15:9-11). Three times in the opening passage of 1 Peter does Peter tell us that "faith" brings "salvation" (1 Pet. 1:5, 7, 9), and Peter tells us to "set your hope fully upon the grace that is brought to you in the revelation of Jesus Christ." (1 Pet. 1:13). Peter quotes the prophet Isaiah, saying, "Whoever believes in Him will not be ashamed." (1 Pet. 2:7). He ends his first letter by describing God as "the God of all grace" (1 Pet.5:10), and explicitly tells us the purpose of his letter: "I have written briefly, exhorting and testifying that this is the true grace of God, wherein you stand." (1 Pet. 5:12). Likewise in his second letter, Peter starts by mentioning the "like-precious faith" all Christians have "in the righteousness of God and our Savior Jesus Christ." (2 Pet. 1:1) That is the gospel of Paul. He also calls Paul a "beloved brother" and fully endorses his teaching (2 Pet. 3:15), setting his letters on the same level of Scripture (2 Pet. 3:16). There is simply no disharmony between Paul and Peter, and therefore since Paul made such clear and unequivocal propositions, then therefore Peter must have been on the same page (and indeed, I find no reason to think he wasn't). The error doesn't lie with the apostles, but with us, if we think they are at odds. I have more to write, but time doesn't allow it! Will write again shortly. Many people try to escape the intensity of the Pauline/Protestant gospel of grace by claiming that Paul's issue with the Judaizers, and his preaching that men do not need to obey the law, had merely to do with the ceremonial law (rituals, sacrifices, circumcision, etc). But to think so is to seriously misunderstand Paul and the whole Bible. I have found that people who claim that it is merely the ceremonial aspect of the law of Moses that is done away but that we still are required to obey the moral aspect, have never really grappled with the text, nor considered the writings of those who have grappled with it for thousands of years. I find both the Biblical text and the hard work of Christian commentators gets largely ignored by many. Paul is not saying that in order to be justified we merely do not have to follow the ceremonial commandments of the law of Moses, but is making a far greater and more glorious claim: that we do not have to obey the law of Moses at all, which law includes "Love the Lord your God with all your heart, soul, mind and strength", and "Love your neighbor as yourself" (Christ said all the law hangs on these). Wow! Yes, that is extremely radical, and our first response it to recoil from it. But make no mistake, that is what he is saying. He is not saying that loving God or your neighbor is wrong... far from it! Paul exhorts us to love God and our neighbor, and gives us a better reason to do so rather than as a requirement for salvation (as I spoke about above). But the reality is, if the forgiveness of sins depends upon us loving God with all of our hearts, and loving our neighbor as ourselves (as wonderful and right as that is), we are all hopelessly lost. None of us do it (Rom. 3:10). That is why people who advocate obedience to the commands as required for salvation ultimately condemn themselves. People tell me all the time: "No, Eli! You can't just get it free! You have to work for it! You have to deserve it! You have to keep the commandments!" By saying this they condemn themselves, since they themselves don't keep the commandments or deserve it; and they also betray the fact that they don't understand the Bible. Justification is free (Rom. 3:24)! Wonderfully gloriously free! It is a gift from God to you, and not something earned (Rom. 6:23). And it is only through this blessed gospel that we come to know the love God has for us, and so fall in love with God, and are changed. "First we must graft ourselves into the vine, and then our righteousness comes from the life flowing into us from the vine, rather than from ourselves, which is sin." Are you referring to the verses from the Gospel of John 15:1-8? Hello Nate and Eli! I appreciate reading your comments! Nate, you wrote that "It's not that we believe that our efforts will bring salvation, but we focus on the effort because we desire to obey the commandments of God, and be true to the commitment we made to Him. And if we don't make the effort, then we will drift from God, and forget Him, and are in danger of losing our spiritually awakened state of being." As I read that, I was reminded of a special gift promised to by God (see also the book of Acts) once Jesus returned to the right hand of the Father. (John 14:15-18)&(John 16:7-15) Holy Spirit, the Comforter! It is by receiving this gift that we are able to walk and live as Christ taught. It is the working of the Holy Spirit that empowers us to serve God. There is no effort involved other than daily coming to the foot of the cross and laying down the burden of sin. When we are filled with the Holy Spirit-the spirit of God-then He can start to refine us. I believe that the fruit Jesus refers to in (John 15), is not "fruit of our labors", but rather the fruit of the Spirit which is Love, Joy, Peace, Patience, Kindness, Goodness, Faithfulness, and Self-control. There is no effort that can be made to obtain these fruits. They are a product of the refiners fire. We do "do" something, yes. We must humble ourselves and acknowledge that apart from Him, we can do nothing. I saw your post on sermon index and found it interesting as I have been thinking about Lordship salvation lately. I liked how you emphasised the fact that the gospel is about God serving us. It's a humbling truth, and one that seems to be neglected more and more in much of today's Christianity, and especially in evangelistic preaching. It really is THE important distinction that sets Christianity apart from every other religion. I'm still chewing on what you said regarding the commands of discipleship being specifically related to persecution. Can you elaborate on that more from the scriptures for me? Like I mentioned above, I've been thinking about the subject of Lordship Salvation for a while now. I just posted a blog sharing my thoughts on the subject. If you have time, I'd be interested to know your thoughts. I took a little different approach by trying to address some of the common phrases and teachings from men that seem to be leading the charge with the Lordship doctrine. I found this topic difficult to write on because sometimes it's hard to address issues like Lordship without being misunderstood. HI brother Eli, this is a very, very heavy article. I agree with it fully. I have read it a couple of times the last 6 months or so.